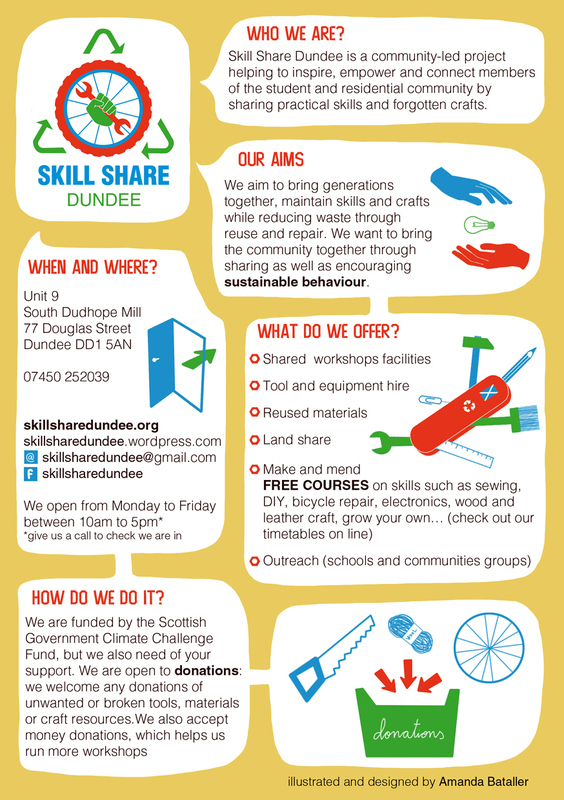 This is the new A5 leaflet that I designed and illustrated for Skill Share Dundee (with the new remade logo). 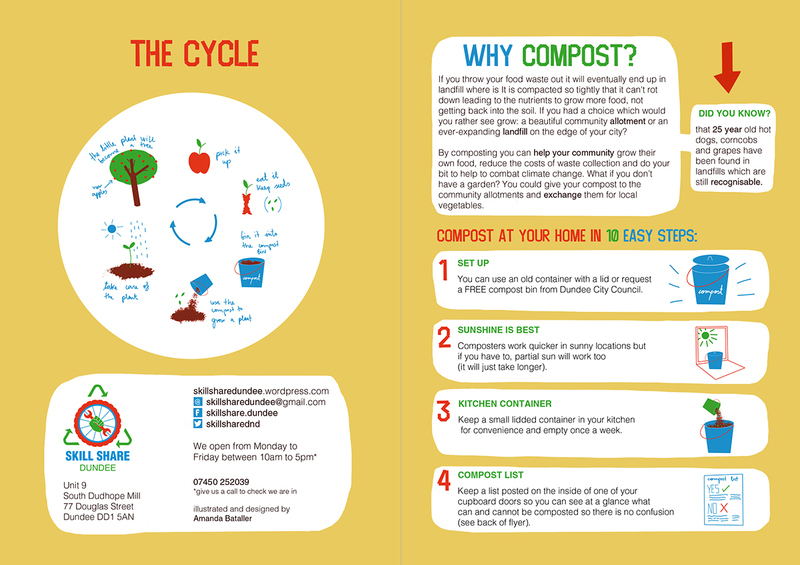 If you want to know more about WHO they are, WHAT they do, WHERE they are and much more, have a look at the leaflet! 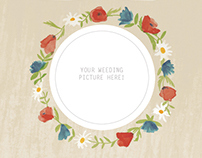 You will find more information by visiting their blog: Skill Share Dundee. 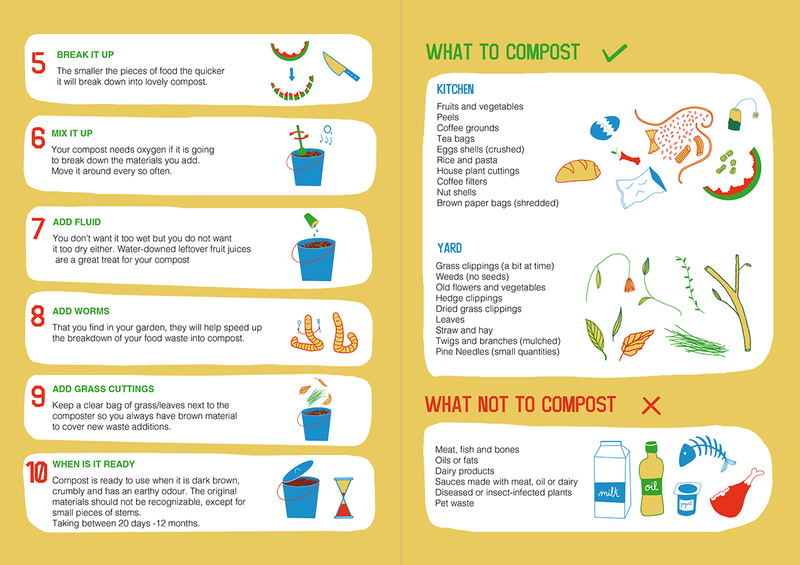 These are both sides of the Compost Leaflet for Skill Share, that explains visually and step by step how to compost at home. All made digitally. POSTCARD DESIGN for Trellis Scotland.